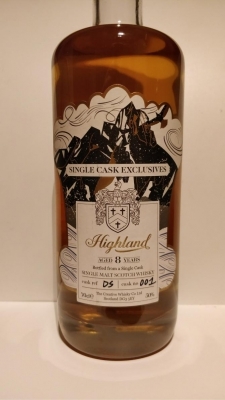 The Creative Whisky Company Single Cask Exclusive Highland 8 years old DS001 is a Highlands single malt from Deanston bottled in the Single Cask Exclusives series by the independent bottler The Creative Whisky Company. In this series David Stirk bottles single casks from several regions at 50% ABV for very affordable prices. This release matured in bourbon hogshead DS001 and was bottled in 2017 at 50% ABV, non chilll filtered and with no added colour.